If you wander up to the church in the Old Town, you might notice that there are alot of (good looking and well looked after) cats about. Opposite the church is a Cat Sanctuary- it´s actually a very friendly lady´s house who looks after the animals. She´s known around here as the "Grandmother of the Cats" or "àvia dels gats" (or "abuela de los gatos"- she speaks Spanish rather than Catalan, I think she is originally from France). 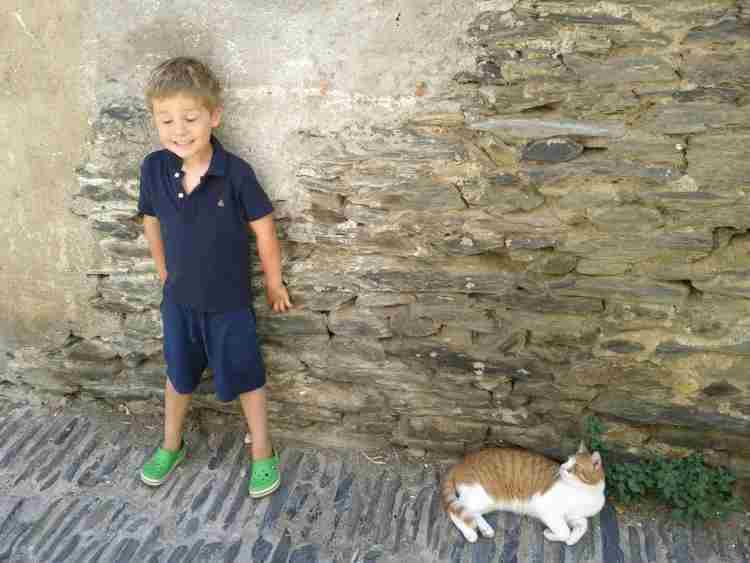 There have always been cats in Cadaqués. You´ll see kittens sunbathing in her windows, some indoors and quite a few out and about. The Lady is called Gabrielle, and is famous around these parts for looking after her feline friends (the last time we were in Cadaqués she had over 20 in her house). She runs the "Amics dels Animals de Cadaqués" : the Friend of the Animals of Cadaqués. Anyway, have a chat to her if you bump into her. She is very friendly and a bit if a star (and a saint). or in person at the C / Curós, 18 - Cadaqués, Girona. You can become a partner with a small financial contribution (actually very small, 10 € a year and can help a lot). There´s a small collection pot on her window box for making donations. You can also volunteer to help out during your stay. 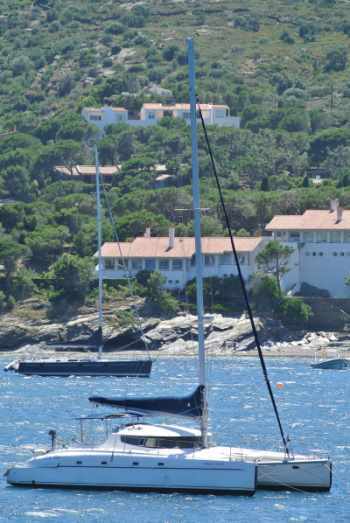 You might also see some nice cats out in the bay of course (different types of cats though).